You can virtually stop customers from becoming past due. I have proven this to many companies over the last 25 years. With the right techniques, your past due will be reduced and getting paid will not have to be such a hassle. Many business owners are reluctant to try new ideas leaving them caught in the same rut. But now many businesses are reaching out to consultants who specialize in the field of Billing, Collections and Accounts Receivables. CJM Billing Solution, Inc. is one such consulting firm. With a proven history of helping business thrive, CJM goes beyond the ordinary business as usual. Stop letting professional debtors keep your money. 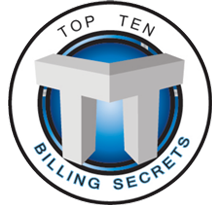 Go to Top 10 Billing Secrets see how. Companies are scrambling to get new business, keep business and get money in the door. The conflict exists because many customers are great at not paying. They take advantage of your good nature and neglect their responsibility. Several customers pay their bill late while others pay less and some don’t pay at all. They waste your time, cost you money, drain your energy and it can be very frustrating. Some business owners quit because of these difficult issues. It’s time to change that! Many companies conduct business in a way that allows customers to exploit weakness in their process. You must identify loopholes and long term negative effects created by your own procedures. Do you fire the customer and lose that income source or do you continue to allow them to owe money month after month? The key is to break their habit and bring them into a habit of payment. 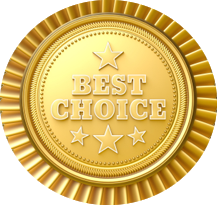 Use proven methods to change attitudes toward payment and keep the customer happy. 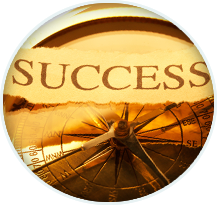 Your approach can have a great positive effect on your long term annual income. You must focus on the customer and the immediate dollar but most companies cannot seem to bring the two into unison. In many cases companies are more concerned about the immediate dollar than the customer. While this attitude does have some benefit monetarily, it can have disastrous unintended consequences which are difficult to manage and sustain. If a customer has been lax for years, they fall into a tradition of non-payment that needs to be corrected immediately. Christopher Mangan is a business process analyst and the leading authority on producing high efficiency billing and collections procedures. He is the author of Top 10 Billing Secrets and since 1989, has produced millions of dollars for fortune 500 companies as well as small businesses. Enjoy greater revenue through efficiency and proven methods. He is the President and CEO of CJM Billing Solutions, Inc.